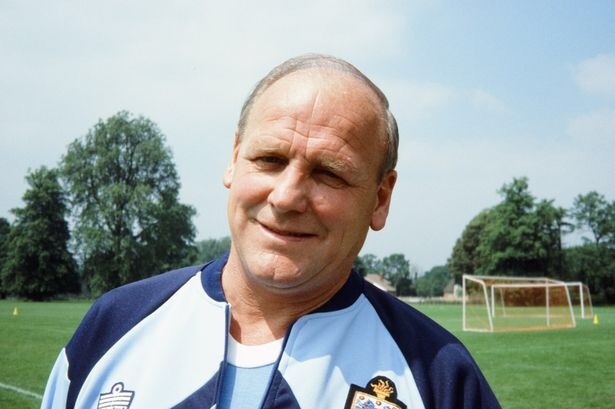 This week sadly marks the 10th anniversary of the death of former England manager Ron Greenwood. Today we recall six of the best games of his reign, choosing one match per year from 1977 to 1982. 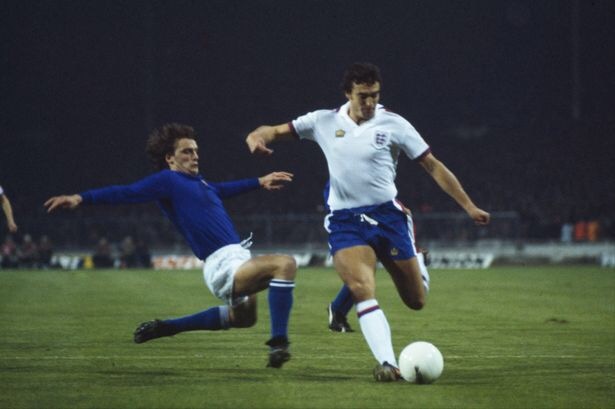 Trevor Brooking in action for England against Italy in 1977. Ron Greenwood was still in caretaker charge of England when they faced Italy in their last World Cup qualifying match in November 1977. Whatever England did, the night was always likely to be tinged with disappointment as Italy still had the luxury of a home game against whipping boys Luxembourg to come to claim the qualification spot. To make things genuinely tough for the Italians, England would need to beat them by several goals to potentially go through on goal difference. Most had accepted it wouldn’t happen and simply wanted to see the team restore pride with a good performance and win. They duly did so, Kevin Keegan and Trevor Brooking scoring as England triumphed 2-0 and the crowd went home satisfied with what they had seen. The FA evidently felt the same way as Greenwood was handed the job on a permanent basis the following month ahead of Brian Clough. Greenwood made a positive start in the England job and the Home International Championship was won before they concluded the 1977-78 season with a friendly against Hungary, who had qualified for the World Cup. England’s display gave cause for optimism as they beat the Hungarians 4-1 with Peter Barnes, Phil Neal (penalty), Trevor Francis and Tony Currie all finding the net. “England are back” chanted the buoyant Wembley crowd. It may only have been a friendly but there was a new-found belief about England and it boded well for the qualifying programme for the 1980 European Championship. In a grim 1970s England had paid for away defeats to Poland, Czechoslovakia and Italy as they crashed out in three successive qualifying groups. Now they headed to Sofia standing every chance of making the 1980 European Championship, knowing that getting a good result in a potentially tough away match against Bulgaria would boost their prospects. They duly did that, winning 3-0 in energy-sapping heat to get the nation believing they were at last going to see England in a major tournament again. Kevin Keegan put England in front, before two goals in a minute from Dave Watson and Peter Barnes sealed the win. Greenwood purred: “We are trying to produce what I think is essential in world football – complete technique in every department with the physical effort to go with it.” There was no looking back and qualification was all but wrapped up in October with a 5-1 away win against Northern Ireland. With a qualifying record of seven wins and a draw from eight matches, it proved to be a very successful campaign for England and Greenwood. 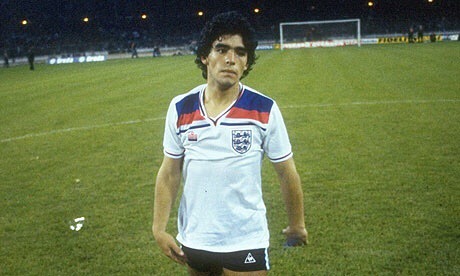 Diego Maradona was on the losing side against England in 1980. Typically the euphoria proved short-lived, England being beaten 4-1 by Wales just four days later and then failing to progress beyond the group stage at the Euros. Now their attention turned to trying to qualify for the 1982 World Cup. England’s qualifying campaign for the 1982 World Cup was fraught and a poor 2-1 defeat in Switzerland in May saw Greenwood, 59, make up his mind to retire. He would delay his announcement until after the following weekend’s tough-looking trip to Hungary, where few were expecting an England win after a dreadful run of form. 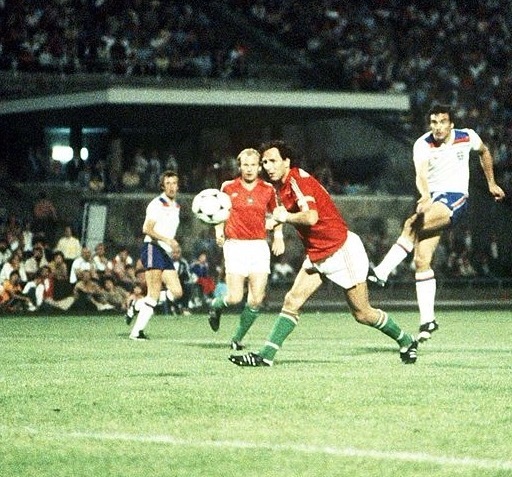 The recalled Trevor Brooking gave them the lead in Budapest, only for Hungary to level before the break through Imre Garaba after a mistake by Ray Clemence. But in the second half Brooking restored England’s advantage with a beautiful shot that saw the ball memorably became lodged in the stanchion of the goal, describing it as the “finest goal I scored in my entire career” in his autobiography. Kevin Keegan wrapped up a fine 3-1 win from the penalty spot and qualifying for Spain was now a realistic possibility again. Trevor Brooking scores for England against Hungary. On the flight home, Greenwood informed the players he was quitting but they talked him out of it and he focused again on leading England to the World Cup. Another bad defeat in Norway left alarm bells ringing, but other results went in their favour and a joyful 1-0 win over Hungary in the return game at Wembley saw them through to their first World Cup finals since 1970. Greenwood was to leave the England job after the 1982 World Cup – this time not being persuaded to continue – and he looked to go out with the nation basking in success. England’s first match of the tournament brought them up against a decent France side featuring Michel Platini in Bilbao. Those English fans in the stadium or who had rushed home from work or school to watch it on TV were rewarded as Bryan Robson famously opened the scoring after just 27 seconds. Gerard Soler pulled France level but Robson headed England back into the lead during the second half. Paul Mariner wrapped up the 3-1 victory and England could savour beating their main threat in the group. 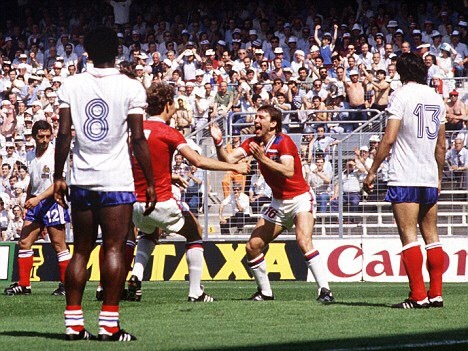 Bryan Robson opens the scoring after 27 seconds against France. Although England did not concede in any of their other four games at the tournament, their goals dried up and successive 0-0 draws against West Germany and Spain in the second group phase saw them make a rather low-key exit. They came in for criticism for their negative approach in the second phase and it marked a slightly anti-climatic ending to the manager’s reign. Greenwood’s England had been beaten just once across eight matches at two major tournaments, but at neither did they make the final four. Greenwood called time on his football career, other than offering his opinions as a radio summariser. He died on February 9, 2006, aged 84. Although he may not have received the widespread tributes when he died that were afforded to his successor, Sir Bobby Robson, there were plenty who spoke affectionately of Greenwood and his footballing contributions. As we have seen, his England reign included some memorable victories and he returned the nation to major tournaments after a dreadful era under his predecessors.